Over 50 years there have been dogs in my life, hound dogs, spitzs, cockers,setters. While living in the UK in 2005 the first Chihuahua of mine moved in from Patricia Milton’s Cleopy Kennels. Crystal opened the new world of small dogs to me. Why in earth I waited this long before having a Chihuahua! I’ll be always grateful to Pat for trusting Crissy to me. Since then other Cleopy Chihuahuas have moved to Finland as well. Whilst living back in Vantaa, Finland I soon had several Chihuahuas and I can’t explain it clearly how the fever got me. For 20 years I had English setters and never ever the thought occured to my mind that I would breed them! So, I wanted to have an affix for breeding Chihuahuas and definitely my breeding program would base to English lines. The idea for my affix came to mind at the summer cottage with the huge rowan in the garden. All my dogs live together with me. Every puppy is born in my bedroom where I can keep a loving watchful eye on them in their first days of life. When they turn three weeks old they ‘ll stay in a living room where they will be socialized to all the sounds and sights they must become aware of. And the most important touching, holding and lovingly playing with them. I feel lucky that I had a chance to get to know few British Chihuahua breeders who all together have almost a 100 years of experience of breeding Chihuahuas and other small breeds. 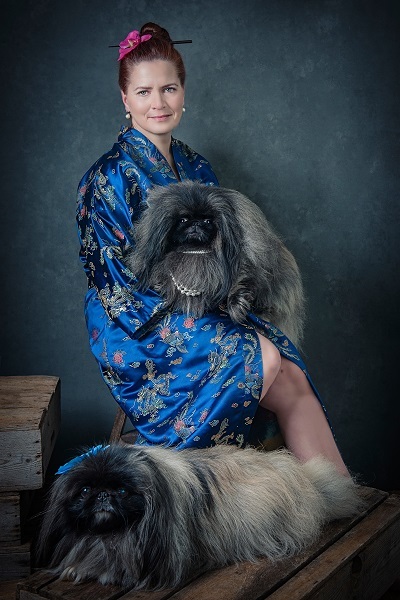 There was a new opportunity to learn and study certain lines of the breed, the dogs that were only the names in the pedigrees of my dogs and especially to learn to really look at Chihuahua. Those breeders have become very good friends of mine and trusted some of their dogs to my hands for campaigning and breeding with them. 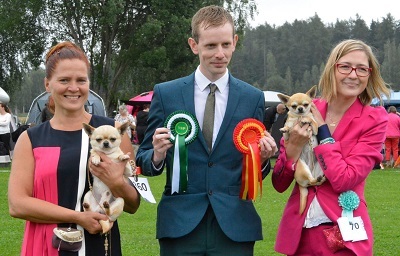 With the help and advice from Lee Humphreys (Amarantos Kennels) and Neil Wallace (Coltham Kennels) as well as Pat Milton (Cleopy Kennels) my learning curve to a world of Chihuahua breeders has been short and quick. After importing few Japanese Chins from UK to a friend during past 4 years I fell in love with that breed. Eventually on 2013 I visited a breeder in Finland who has bred chins for 45 years. 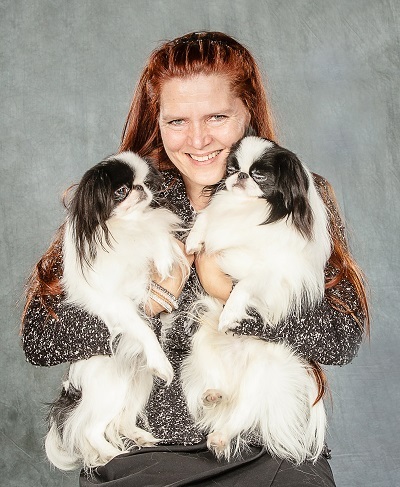 For a visit at The of Zlazano kennels 2 adult Japanese Chins followed me home: a red & white male of Zlazano Hané, who had just won his junior winner title at The Helsinki Winner Show, and a black & white female CH of Zlazano Hachimitsu. There will be even more chins living in my household before summer, when two more males from UK will move in.